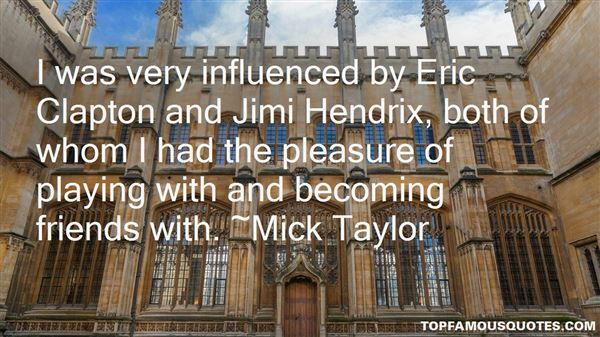 Reading and share top 14 famous quotes and sayings about Clapton by famous authors and people. 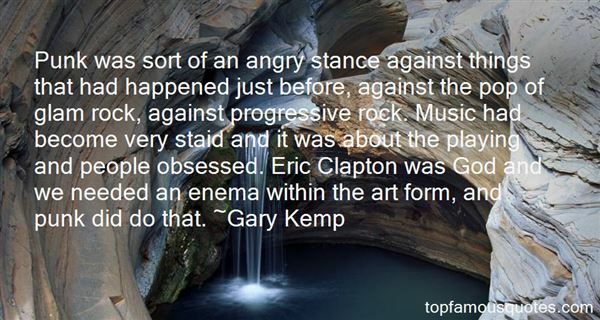 Browse top 14 famous quotes and sayings about Clapton by most favorite authors. 4. "I grew up on a lot of early Beatles, DC5, Cream, Clapton, Page, Beck and Hendrix." 5. "Punk was sort of an angry stance against things that had happened just before, against the pop of glam rock, against progressive rock. Music had become very staid and it was about the playing and people obsessed. Eric Clapton was God and we needed an enema within the art form, and punk did do that." 6. "I can never make up my mind if I'm happy being a flute player, or if I wish I were Eric Clapton." 7. 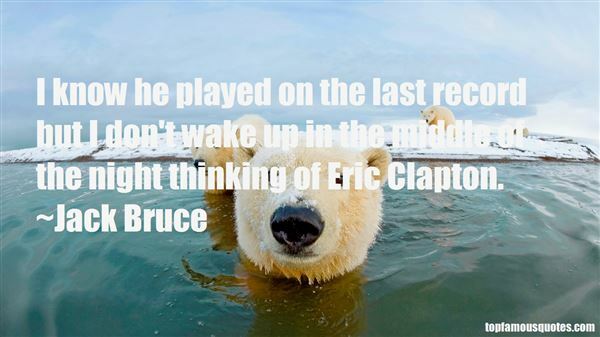 "I know he played on the last record but I don't wake up in the middle of the night thinking of Eric Clapton." 8. "The Beatles had some juice when it came to distortion, but Clapton was finally able to break through those early studio engineers' fear of overloading. He defined the sound that guitarists spend the rest of their lives trying to get." 9. "I was very influenced by Eric Clapton and Jimi Hendrix, both of whom I had the pleasure of playing with and becoming friends with." 10. "It's one of those songs— like Eric Clapton's "Tears in Heaven"— that everyone knows all the words to without ever having chosen to learn them." 11. "Eric Clapton always wanted to come out onstage with a stuffed parrot on his shoulder." 12. "I love Sutton House in Clapton, a beautiful example of Tudor architecture." 13. "I'm no spring chicken. The same arthritis that ate up my left hip that finally got replaced hasn't stopped there... And touring is a lot of work. I'm impressed when I see people like Eric Clapton out there. Gee whiz, Eric, give me a break! I know it's gotta hurt somewhere." 14. "My early influences were the Shadows, who were an English instrumental band. They basically got me into playing and later on I got into blues and jazz players. I liked Clapton when he was with John Mayall. I really liked that period." Ils savaient maintenant que s'il est une chose qu'on puisse désirer toujours et obtenir quelquefois, c'est la tendresse humaine."